Field & Game Australia has received news that a number of Australasian Bittern have been sighted at Lake Cullen State Game Reserve. The Australasian Bittern is a secretive bird and is currently classified as endangered. The principal cause of Bittern population decline is thought to be wetland drainage and degradation, so it's actually a positive sign of wetland biodiversity and habitat quality if these birds are present. You are more likely to hear one of these birds than see one, as they have booming calls but tend to stay out of sight, and are partially nocturnal. 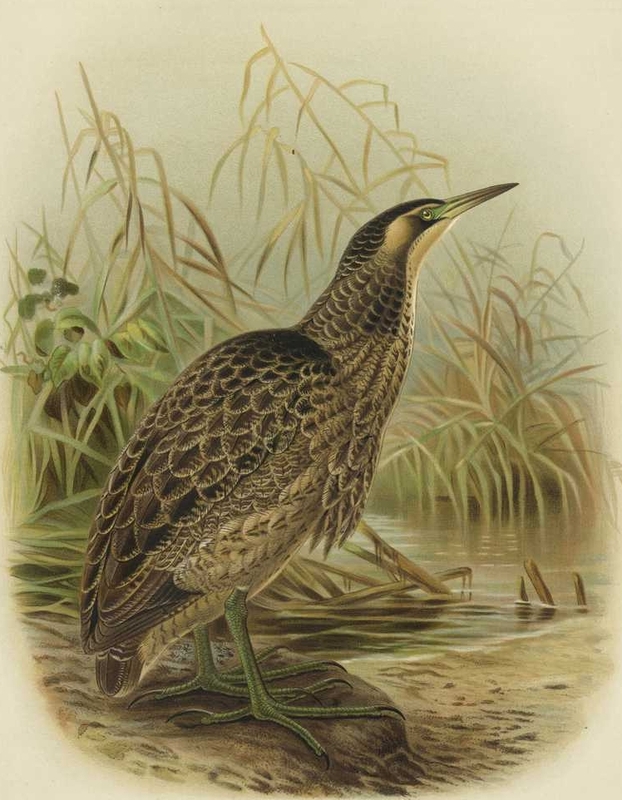 The Australasian Bittern, as illustrated by J. G. Keulemans in A History of the Birds of New Zealand, 1888. Lake Cullen State Game Reserve will remain open for hunting, however Field & Game Australia and the Victorian Game Management Authority (GMA) are asking all hunters visiting this wetland to be sure of their quarry when hunting. Signs will be posted at this wetland to inform hunters, and there will also be on-site education to hunters by GMA staff as they monitor the wetland. As always, Field & Game Australia encourages all hunters to behave responsibly and if you are not sure - don't shoot. The other State Game Reserves currently closed to hunting are being monitored with weekly surveys by GMA personnel for any changes in the number of protected species present, to assess for potential reopening or continued closure.